Audio for this feature is no longer available. The album was released on Feb. 9, 2009. 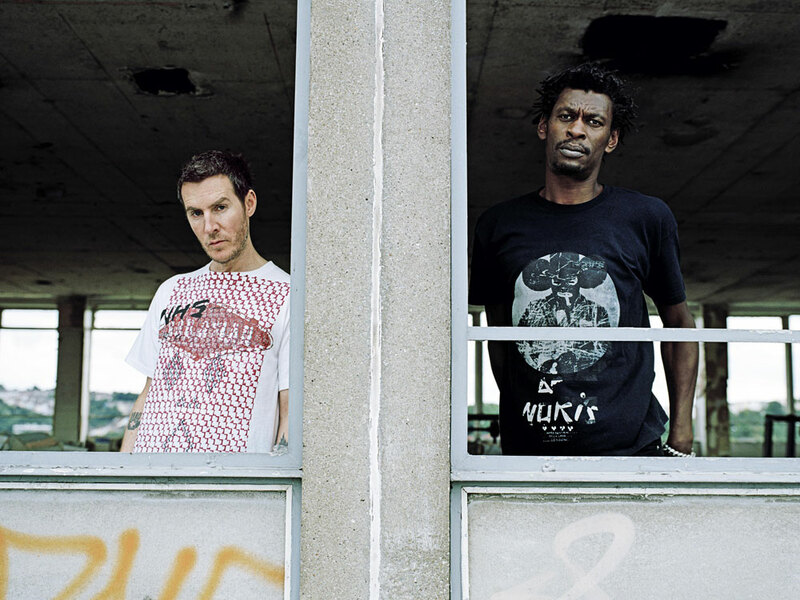 When Grant Marshall and Robert Del Naja set out to make their fifth album as Massive Attack, they surely didn't intend for the process to last seven years. But in the time since their last record, 100th Window, fans have eagerly awaited even the slightest bit of news of the long-rumored "LP5." With the release of Heligoland, the legendary electronic and trip-hop pioneers re-establish themselves with resounding fanfare, composing a dark, challenging work that sounds both diverse and focused. Hear Heligoland in its entirety here at NPR Music until its release on Feb. 9. Heligoland marks the return of the pioneering trip-hop duo Massive Attack after a seven-year absence. Heligoland is built around many of Massive Attack's distinctive elements: Wiry guitars? Check. Thick bass lines? Check. Burbling electronic pulses and icy soundscapes? Check and check. Still, while the musical approaches might be familiar, Massive Attack's approach to music has changed considerably over the years. Instead of sampling others, as they did on previous efforts, the two now record and reconstruct from their own instruments, splicing drum beats into glitchy loops. "You would get a drummer to play something; you might instruct him to play in a certain way and then he takes loops of that," Del Naja says in a recent interview with NPR's Ari Shapiro. "So you edit in the same way by using small loops of a part, as opposed to sampling, say, something from an obscure '70s funk tune. " Heligoland ended up being a labor of love for Massive Attack. Never one to repeat itself musically, the duo spent much of five years writing, recording, scrapping and re-shaping the tracks that eventually made up the album. Marshall and Del Naja even toured last year with new songs that were intended to be for their next record, but later abandoned that material to start anew. In some ways, that decision may have allowed them to get it just right and bring in new collaborators. In addition to frequent contributing vocalist Horace Andy and a full roster of session players, most of the songs are brimming with well-known vocalists and musicians, including Tunde Adebimpe (TV on the Radio), Damon Albarn (Blur, Gorillaz), Hope Sandoval (Mazzy Star), Martina Topley-Bird (known for her work with Tricky), Guy Garvey (Elbow) and Portishead's Adrian Utley on guitars. Tim Goldsworthy and Neil Davidge co-produced the album with the duo. Each new voice enabled Massive Attack to toy with different micro-genres, from the pointillism of "Psyche" to the chiming minimalism and sweeping orchestral sounds of "Paradise Circus" to "Pray For Rain," which slowly builds with precise, militaristic tension. But, really, it's the work of Del Naja and Marshall that pulls it all together and makes Heligoland as cohesive as it is.